A true survivor, the first John Verity Band was gigging in 1969 before John moved on to join Argent, Phoenix and Charlie. 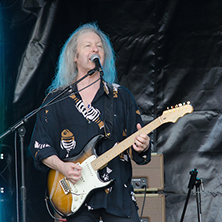 John has also worked with the likes of Motorhead, Colin Blunstone and The Searchers. John reformed JVB in 2001, and has been wowing the crowds ever since. Page generated in 0,075544 seconds.